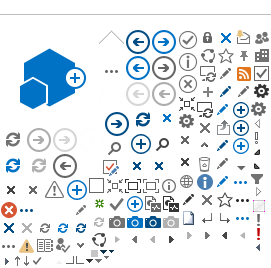 Access and compare your medical records, book clinical appointments and much more. Hand washing is the primary defence against infections. While it has been proven that a simple soap is as effective as an anti-bacterial soap, be sure to wash your hands the right way. Scrub your hands for at least 20 seconds before rinsing them with clean water. Important areas to clean, which are often overlooked, include under your fingernails, back of your hands, between your fingers and wrists. Do not use a cloth towel to dry your hands. Instead let them air dry or use a disposable paper towel. Our experts in Karimabad can help you with Brain, Spine and Nerve problems. Looking for experts in brain, spine and nerves? Our experts in Hyderabad can help you with Brain, Spine and Nerve problems. Take care of your health while you prepare to fast and feast. Avail 20% off on Clinical Laboratories Packages. Choose optimum quality at an affordable price with our Cataract Surgery Package at the Karimabad Hospital. Choose optimum quality at an affordable price with our Cataract Surgery Package at the Hyderabad Hospital. Get expert consultation for Rs. 100 for Dental, Family Medicine, OBGYN and ENT at the Aga Khan Diagnostic Centre, Garden on 31 March 2019. Three-Day Obstetrics and Gynaecology Clinic for Rs. 100 at Garden Hospital. Women must pledge to stay healthy. Visit our three-day clinic for consultation and specialized Lab Packages. Avail 90% off on consultation on 23 March, 24 March and 31 March. Visit the Medical Centres to avail the offer. To know more about child cancer, the specialist team at the Aga Khan University Hospital conducted a Facebook Live session. On the account of World Oral Health Day, the Aga Khan University Hospital organized an awareness camp at the main Hospital building. 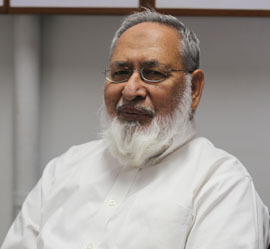 Zafar Barki had become rapidly overweight in his twenties and thirties, due to overeating and lack of exercise. 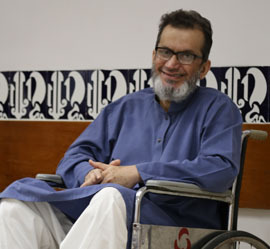 Dr Shabbir Ahmed Naeem was busy in his usual routine one day, when he suffered a paralysis attack. A father of three, and in his late 50’s, Mr. Shoaib Iqbal was leading a normal, healthy life, and had no apparent medical complaints. 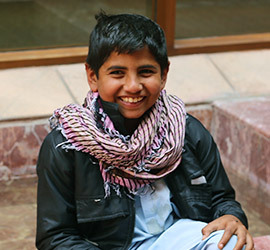 Dayem studies at Bahria University, Karachi and wants to become an IT specialist like his father. He is passionate about football and supports the German team. 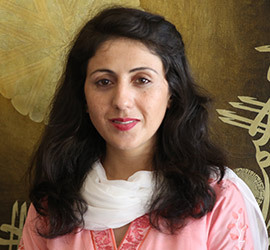 "It was during my K-2 summit attempt in 2014 when I noticed that I was facing a serious health problem” recalled, Samina Baig. Moiz was playing with a retractable toy when it accidentally snapped and flew at him, hitting his eye and injuring it severely. ​His glinting eyes and mischievous smile are extraordinary. 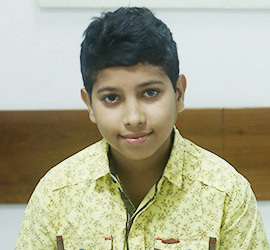 This is because 10-year-old Sameer Ahmed has just survived a terrifying ordeal. 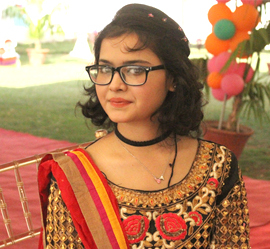 Arzoo Saltanat is a native of Gilgit. For the last three years, an ordeal has overshadowed Arzoo's life: her fight against cancer. Beat Cancer! Don't Let Cancer Beat You! 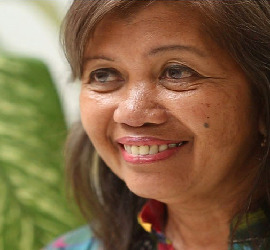 In 2012, the results of a biopsy test at the Aga Khan University Hospital revealed that Aliciya Josephine had breast cancer. "Come to the Aga Khan University Hospital and have a check up done. The excellent facilities here are available to everyone." 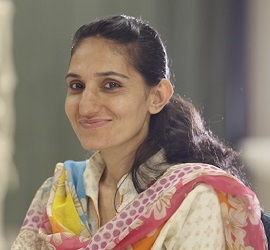 Sadaf Ahmed. 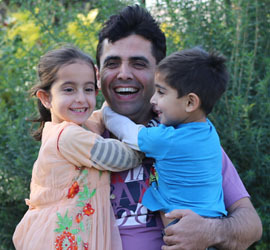 “My family and I were at the brink of losing hope when we had called the GS Hotline. 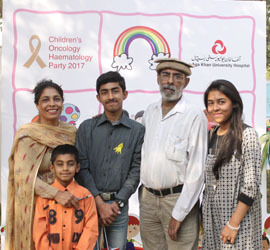 The professional receiving the call was not only gentle but..."
In 2014, Sidra Bhutto, a high-spirited girl from Larkana, was diagnosed with Acute lymphoblastic leukaemia. For a young girl with big dreams, this news came as a complete shock. 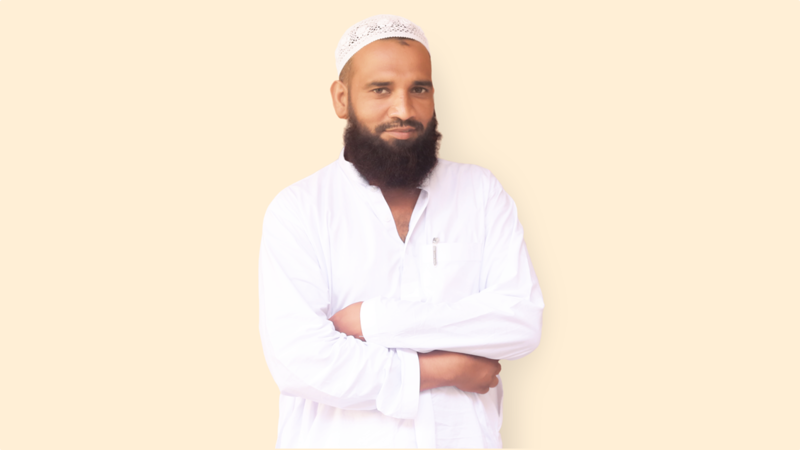 Being a diabetic patient for more than a decade, Muhammad Aslam started to have eye problems which persisted for 3 to 4 years and later developed into an eye cataract. 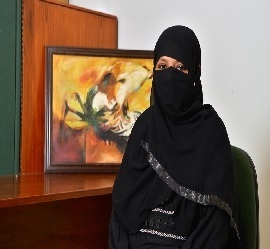 ‘It became difficult for me to drive car at night because of all the lights that flashed on the road created an irritation in my eye’ said Aslam. He faced a hard time looking for street signs while driving his car and needed his glasses for almost everything he had to read and the only time he used to be without was the time of his sleep. Mohammad Amin is a 40 years old salesman from Quaid Abad Karachi. 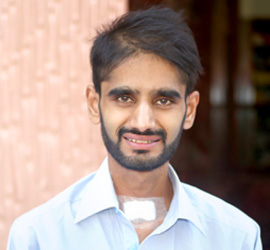 He was living happily with his family until suddenly he experienced severe liver pain in June 2017. For most of us undergoing surgeries, our private lives bear the heaviest brunt. The Aga Khan University Hospital (AKUH) is a private, not for profit, university hospital, focusing on the delivery of high quality healthcare in Pakistan for over 30 years since its inception in 1985. The main tertiary care hospital in Karachi offers 24/7 Urgent Care Services, and all services under one roof, which includes specialized care, elective and non-elective surgery, consulting clinics, radiology and clinical laboratory services. To offer enhanced patient-centric, holistic care, the hospital is structured into service lines that operate like specialty hospitals within one large hospital. Through this set up, AKUH enables a comprehensive and a multidisciplinary approach to diagnosis and treatment that results in a continuum of quality care for patients. These service lines include Heart, Lungs and Vascular; Family Health; Musculoskeletal and Sports Medicine; Women’s Healthcare; Kidney and Bladder; Mind and Brain; Internal Medicine; Eye, Ear, Nose and Throat; Gastrointestinal Medicine and Surgery; Teeth and Skin; Children’s Hospital, Cancer Hospital; and Physiotherapy, Rehabilitation and Nutrition. As a leading teaching hospital for doctors, nurses and midwives, AKUH produces cutting-edge medical research that is globally relevant and uses innovative approaches to solve local healthcare problems. Through the use of advanced medical technology and highly skilled doctors and surgeons, AKUH provides patients with treatments and services that may not available elsewhere in the region. AKUH is part of an emerging healthcare system that includes three secondary hospitals in Karachi in Garden, Karimabad and Kharadar; a secondary hospital in Hyderabad; the Clifton Medical Services in Karachi which offers 24/7 Urgent Care as well as specialized clinics; over 15 medical centers located across Pakistan; over 270 clinical laboratories that offer fast and accurate results, ensuring world class quality testing; a network of 20 pharmacies that offer a wide range of genuine and temperature controlled medications along with compounding services; and home health services. Through this, AKUH’s growing network offers timely health services to patients in over 100 cities in Pakistan including metros like Karachi, Hyderabad, Multan, Faisalabad, Lahore, Rawalpindi, Islamabad, Peshawar and Quetta. In 2006, AKUH became the first teaching hospital in Pakistani to be accredited by the Joint Commission International (JCI), a gold standard in healthcare delivery. In 2017, the Hospital’s clinical laboratories received accreditation from the College of American Pathologists (CAP), an internationally recognized gold standard for clinical laboratories. Avail 20% off on Hepatitis Screening Packages. You can now get your Influenza Virus Type A, Type B and H1N1 test reports within 8 to 12 hours. Only applicable in Karachi. Avail Up To 50% OFF On Radiology Scans.